Because plates and shells are common structural elements in aerospace, automotive, and civil engineering structures, engineers must understand the behavior of such structures through the study of theory and analysis. 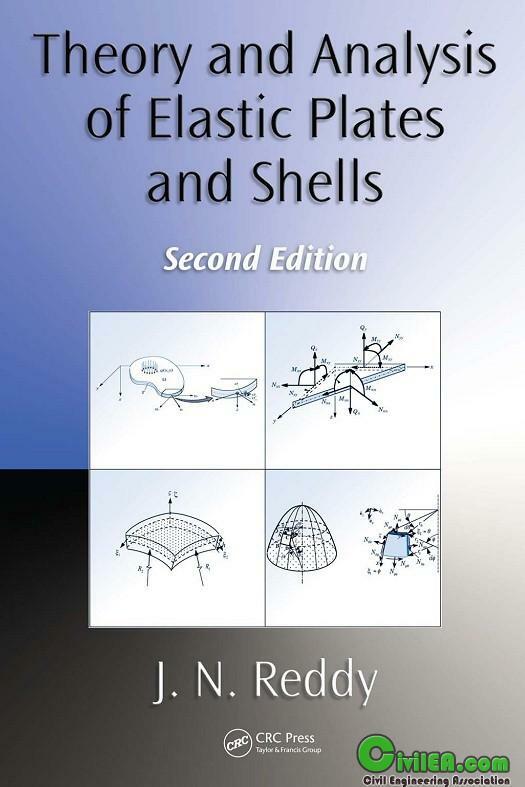 Compiling this information into a single volume, Theory and Analysis of Elastic Plates and Shells, Second Edition presents a complete, up-to-date, and unified treatment of classical and shear deformation plates and shells, from the basic derivation of theories to analytical and numerical solutions. Revised and updated, this second edition incorporates new information in most chapters, along with some rearrangement of topics to improve the clarity of the overall presentation. The book presents new material on the theory and analysis of shells, featuring an additional chapter devoted to the topic. The author also includes new sections that address Castigliano's theorems, axisymmetric buckling of circular plates, the relationships between the solutions of classical and shear deformation theories, and the nonlinear finite element analysis of plates. The book provides many illustrations of theories, formulations, and solution methods, resulting in an easy-to-understand presentation of the topics. Like the previous edition, this book remains a suitable textbook for a course on plates and shells in aerospace, civil, and mechanical engineering curricula and continues to serve as a reference for industrial and academic structural engineers and scientists.